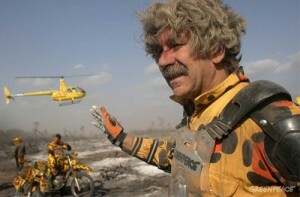 Rex Weyler has lived the life dreamed of by those who want to make a difference. As a young man he joined early Greenpeace expeditions to document and stop commercial whaling. He went on to co-found Greenpeace International, and as a journalist has covered the subject of ecology extensively. Weyler has lived a rich life and has a keen understanding of the source of joy, but there is sadness in his voice when he talks about how civilization grew right past ecological limits to growth. In this 2010 interview first broadcast in 2015, Weyler shares his observations of “what can happen as a civilization grows out of control.” Technology, economics, consumption, population and politics are all in his cross-hairs. Weyler does express some hope for the future, as well, and outlines changes needed to bring human civilization back to living within ecological limits. We’re sharing the best episodes from the first season of Conversation Earth while we fundraise for Season Three. Your tax-deductible contribution fuels this non-profit project. Check out our story and pitch in at Tap the Brightest Minds on Earth. 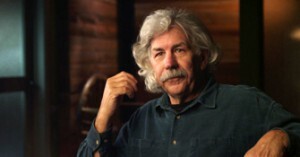 Journalist Rex Weyler is best known as an early Greenpeace organizer and a co-founder of Greenpeace International. He has written several books, including Greenpeace: How a Group of Ecologists, Journalists and Visionaries Changed the World. His history of indigenous American cultures, Blood of the Land, was nominated for a Pulitzer. Between 1974 and 1982, he served as a director of Greenpeace. He was editor of the Greenpeace Chronicles magazine. He sailed on the first Greenpeace whale campaign, and his photographs and news accounts of Greenpeace appeared worldwide. Weyler’s photography and essays have been published in the New York Times, Oceans, Smithsonian, Rolling Stone, New Age Journal, Conscious Choice, New Times, Shared Vision, National Geographic, and other publications. Weyler co-authored the self-help classic Chop Wood, Carry Water. 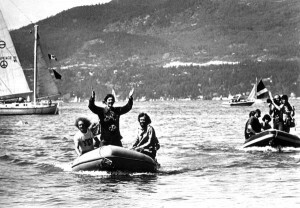 He co-founded Hollyhock Educational Centre on Cortes Island in British Columbia – dedicated to environmental, personal, and professional studies. Be sure to subscribe! You can find us at iTunes, SoundCloud and Stitcher, or sign up to get an email every Thursday with the newest episode. If you like what you hear, please support this project with a tax-deductible donation. Your comments are invited below. Are we capable of making the changes Rex Weyler prescribes? What do you think? Be sure to subscribe! You can find us at iTunes, Google Play, SoundCloud, Stitcher, TuneIn, PlayerFM, RadioPublic, or sign up to get an email every week with the newest episode. If you like what you hear, please support this project with a tax-deductible donation. Your comments are invited below.